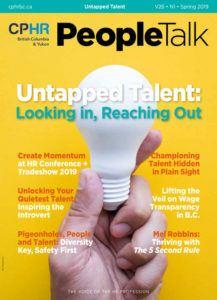 In recent years, the human resources profession has garnered greater recognition and responsibility than ever before—with the change to the Chartered Professionals in Human Resources or CPHR designation only adding to that growing visibility and value. While there are many factors that might be attributed to this, what should not go overlooked is the impact of those individuals whose exceptional efforts and energies have served us all. It is with those ambassadors of excellence in mind that the Fellow CPHR (FCPHR) title was created. Held by only a handful, the FCPHR is a prestigious title, one which speaks to outstanding contributions made on many levels: within the HR profession, within organizations and within communities. 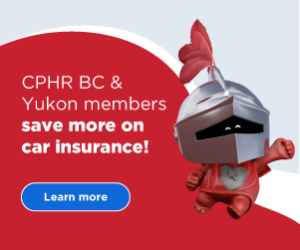 Unlike CPHR BC & Yukon’s other awards, the FCPHR is not a competition prize, but the result of a process of peer analysis and review—a pinnacle to which all in the profession may aspire and all should recognize. 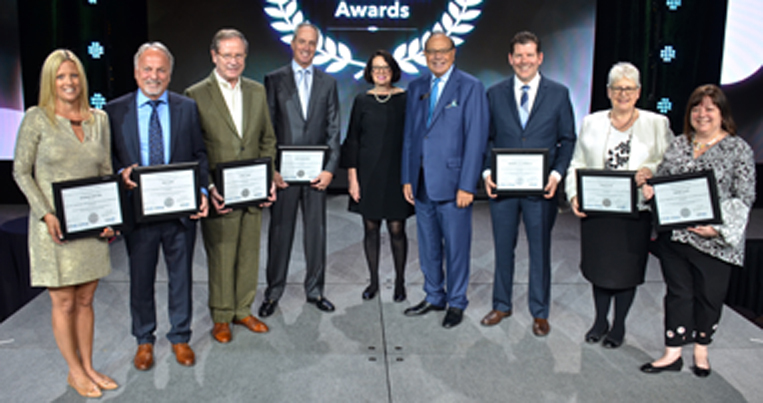 Beyond holding the national designation and being a member of good standing, what distinguishes all of this year’s recipients is their committed service and contribution to the HR profession. Whether that be through CPHR Canada, our provincial associations or within their communities, the FCPHR recipient’s contributions are further distinguished by being sustained for a period of at least five years. 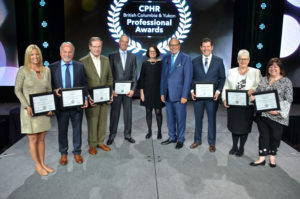 In light of the many outstanding efforts made during a tumultuous time for our profession, seven individuals were presented with the FCPHR title at the recent HR Conference + Tradeshow, with the Honourable Lieutenant Governor Janet Austin in her first public appearance, delivering the honours. 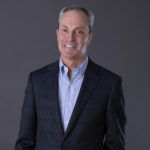 While Mike Cass has been vice-president of Timberlands at Western Forest Products Inc. since 2015, his experience in HR and the forest industry has over 30 years of depth and breadth. What distinguishes his efforts are the lengths to which he has gone throughout his career, and particularly since joining our association in 2000, to share his belief that people define the success of any business. Ever since joining, Cass has been an active and involved supporter of CPHR BC & Yukon, lending his wisdoms and experience to the Leadership Forum, as well as countless regional events on Vancouver Island. 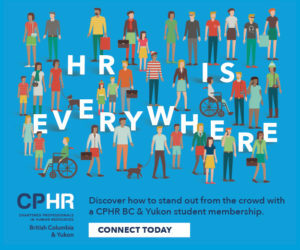 As past-chair of CPHR BC Yukon during a period highlighted by the 50th anniversary of this conference and as a contributor to the Leadership Forum, Cass’ support is ongoing. 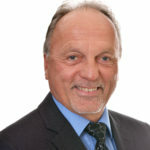 Throughout Hugh Finlayson’s 30 year career and across multiple roles, from practitioner, teacher and periodic writer to CEO to indefatigable volunteer and soon to be published author, Hugh has advanced the principles of strategic HR and ongoing education like few others. 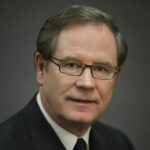 As CEO of the BC Public School Employers Association from 1999 to 2014, he redefined the potential of people practices, while simultaneously serving as interim chief executive for the Community Social Services Employers’ Association from 2002-2003 and later the Post-Secondary Employers’ Association from 2004-2006, leading the two association’s through governance and organizational changes. Recognized as a Life Member in 2012, with membership dating back to 1994 and a term as chair of our association during the millennium, Finlayson’s enduring vision and energies continue to inspire. 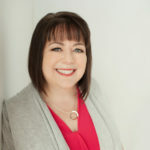 As founder and CEO of Engaged HR and a term professor with Camosun College, Denise Lloyd is a small business owner and driving proponent of changing the face of HR within small to medium sized businesses. 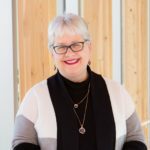 Her insight and acumen are matched only by her giving back, whether that be as past-chair of CPHR BC & Yukon’s Vancouver Island Advisory Council, co-creator of the Member Breakfast, a contributor to two of our previous annual conferences or as a mentor in the Professional Mentoring Program. That strength of character, which extends just as deeply into her community where Lloyd has served with Volunteer Victoria for the past six years, the past two as chair, is what defines her ongoing efforts in keeping people first. From the onset of her career as the 2005 Rising Star Award recipient to the global stage, Shannon Railton, FCPHR has passionately given back to the profession at every step of her journey and no one has benefited more from this than CPHR BC & Yukon and the CPHR designation. From her tireless volunteerism on the Regional Interior Advisory Council to serving on our Board of Directors for eight years, she has long exemplified HR’s virtues. 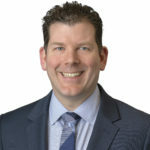 Prior to moving on to chair CPHR Canada, Railton served as Board Chair throughout the significant rebranding and relationship building with educational institutions that followed. Currently representing Canada as president of the North American HR Association, Railton has been a driving force of change for the profession and has provided unifying leadership throughout her many roles. As one who embodies excellence and leadership within the realms of both HR and finance, Susan Ryan current leadership of our Board of Directors has imbued all with her unique blend of passion and principle, acumen and accountancy. 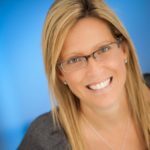 Having spent much of her career in senior management roles within the government and non-profit sectors, since moving to Vancouver Island in 2003, Ryan has combined her unique skill set once more as the CFO for the Nanaimo & District Hospital Foundation. Having served as president of the CMA Society in the Yukon and as treasurer of CPHR Canada during its CCHRA days, Ryan also served on the NKE Construction Committee and joined our Board of Directors back in 2013. A strong believer in giving back, she has done so strongly across two professions and her community alike—all the while leading us forward as our current chair. Terrence (TJ) Schmaltz has been working to “professionalize the profession” for some time. 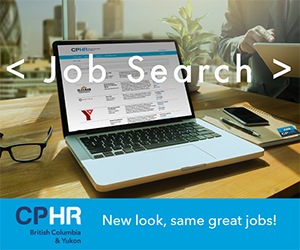 While presently senior vice-president of HR and communications, as well as CHRO, for Westminster Savings Credit Union, many of you likely know Schmaltz best as past-chair of CPHR BC & Yukon and an enthusiastic HR, Law and Business instructor at BCIT and SFU teaching many of the next generation of HR professionals. 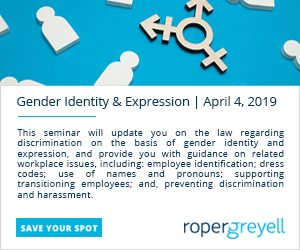 As a passionate proponent of HR who started his career as a labour and employment lawyer before “seeing the light,” and becoming a senior HR professional, his efforts have extended well beyond the workplace to serve us all. From joining CPHR BC & Yukon in 2012, to chairing CPHR Canada’s National Standards advisory committee, to rising to chair of CHPR BC & Yukon in 2015, his contributions to where the profession stands today have been many. A champion of the CPHR designation, Schmaltz’s efforts were also key to forging closer ties with business and HR professionals everywhere.